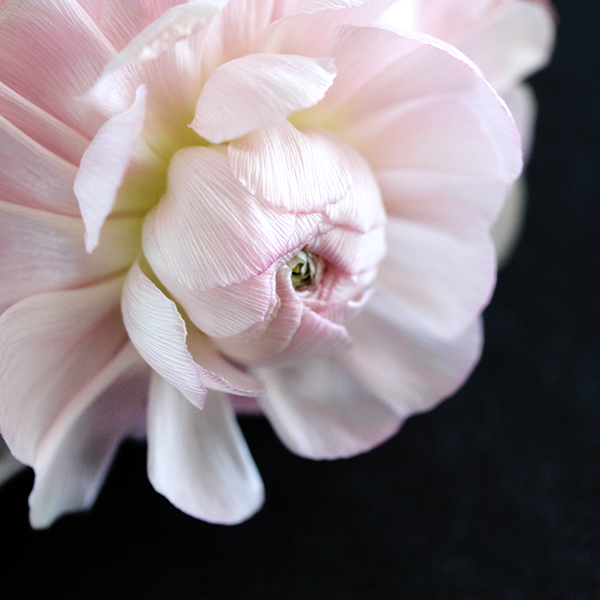 Besides my dolls, Rena and Ian, flowers are one of my favorite subjects in my personal photography work. For my floral studies, I like to get up close and treat them almost as if they're abstract objects. 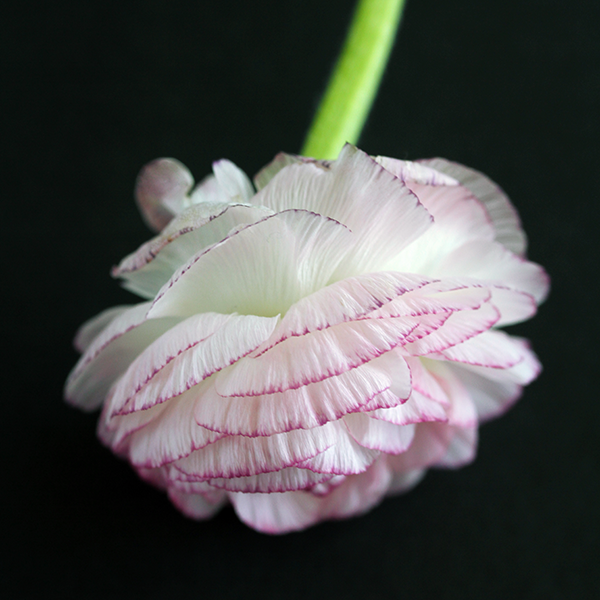 The delicate petals fascinate me the most as their arrangement and movement are like visual poetry. 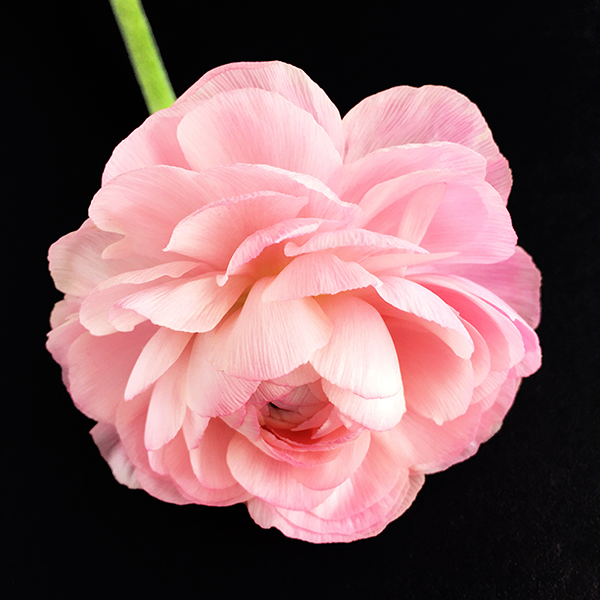 My latest series is a study of ranunculus. I've always thought they were really pretty but this is my first time photographing them and I feel as if I'm seeing their beauty in a new light. I think I may be adding a few of these to my Etsy print shop. What's your favorite flower? Mine would be peonies. The first photo is my favourite! The flowers are very pretty indeed! really delicate and wonderful pictures! The details on the flower are beautiful you took amazing pictures. Just beautiful, Rowena:) My fave flower is orchid. Wow, so breathtaking. These are everything, and would make the most gorgeous phone cases. you created magic on these photographs...I especially love the last one, perhaps because of the way the texture of the pedals catches the eye. I think I know what you say when you say that you see flowers in a new light now...that is what I love about painting. After I have painted something, I never see it quite the same way. Omg these pics are so amazing Rowena! I love to take photos of flowers too but I'm not that good at it. 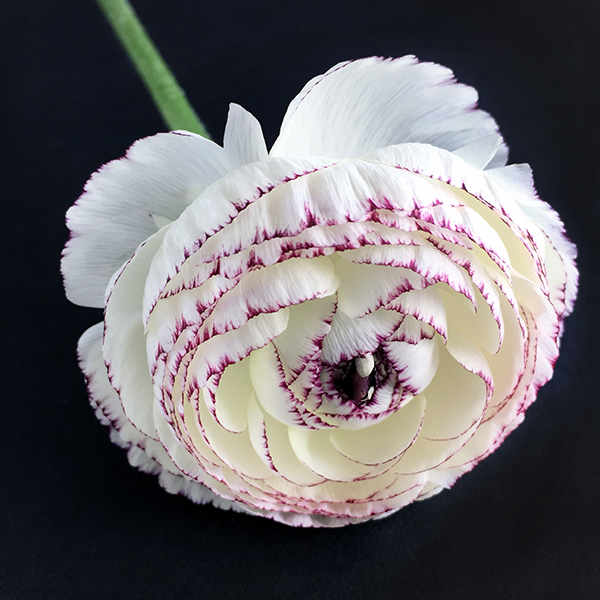 Peonies are my favorite flowers too but I also love ranunculus. Wish you a happy Wednesday! Oh wow, these pictures are absolutely stunning, Rowena! May I know what lens did you use? I'm trying to learn more about photography and am planning to sign up for classes in the future. I love taking photos of flowers. These are stunning! Wonderful pics, so so beautiful flowers!!! So beautiful, Rowena! I adore your photos. Peonies are the ones that featured in beauty shots most often. They are never overwhelming and just make everything around them look pretty. Those are amazing shots! Flowers are one of my favorite subjects too, since they don't move like my dogs do! We are going to try roses again next. I had a sort called Angel's something or other, I can't remember, but they had an amazing smell and they were tinier and pink. He chose Climbing Don Juan, which is a beautiful plant if the damn thing would ever grow. I'm wondering if we just have bad soil. My hibiscus are growing great, just not blooming. The funny thing is I bought three different hibiscus plants for $10, then kept two and gave one to my boyfriend's dad. Ours look pathetic, but his blooms all the time. He's got such a green thumb! Your photos are amazing, I love the pink one! Rowena, I love flowers and it's difficult to just pick one. I love lillies, tulips, roses, orchids, and many more. I can just imagine their sweet scent now! I love your shots, you have great talent. Thanks for sharing. Oh wow I had never heard of these flowers, or maybe I have seen them but didn't this was the name. Oh my but your photos are BEAUTIFUL! 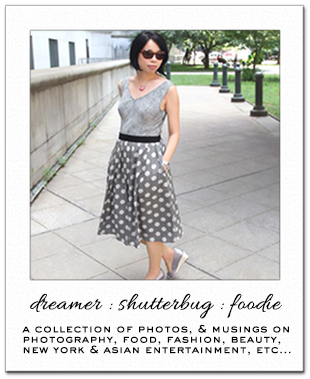 You should put them in your print shop! Add that first pink one to your shop Rowena! It is absolutely gorgeous :D You capture everything so well! Stunning photos! I love them all. my favorite flower is the stargazer lily :) I love the photo...beautiful shot! i love photographing flowers, too. the yard/garden was where i practiced when i got my first dslr. from spiderwebs to grass to plants and leaves, there were tons of interesting things to photograph. Love flowers!! This post its amazing!! Love it. These are so pretty! You do such an incredible job of photographing flowers. My favorite flower would probably have to be a rose. I think Beauty and the Beast inspired my love for it. The flowers are breathtakingly beautiful. Nice shots. Omg, these are stunning photos Rowena! Me too, I'm beginning to appreciate peonies, but definitely my favourite flowers are white roses. Actually, I love calla lily too (I guess any type of white flowers). I'm going to check out your Etsy shop now. Oh my, you captured these beauties in the most stunning and delicate way Rowena. I attempted to grow these flowers last year but none made it. Peonies are my favorite flower, too! These are amazing photos!!! As much as I love peonies, they sound like a pain in the arse to grow (plant bulbs, wait next year for them to bloom; and the whole ants situation). I've already started working on my indoor garden, as I planted some seeds a few weeks back and they're already started sprouting!! (EXCITING TIMES) And I've also bought some gorgeous potted mums and hydrangeas, AND I'M JUST VERY CONTENT WITH MY LIFE AT THE MOMENT. 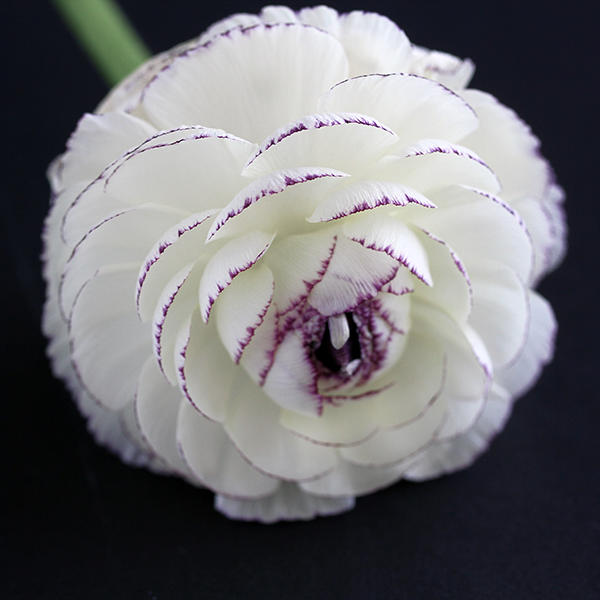 I've never heard of Ranuculus prior to this post, but after some image Googling, I think I might be in love!